Do you love mums as much as I do? I have a great new tip for you today! 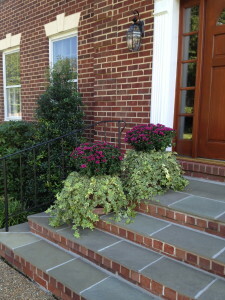 Chrysanthemums, and I’ve just gotten back from the store with one of the best ideas that I have seen in a long time! First, the problem: I am always trying to stake up certain flowers (Mums, Daisies, Sedums, etc.) that seem prone to split open in wind and rain, only to end up with string showing, and the flowers breaking anyway. By adding some plastic mesh over the top as your mums are growing, it will keep them perfectly spaced and protect them from splitting open in the rain. 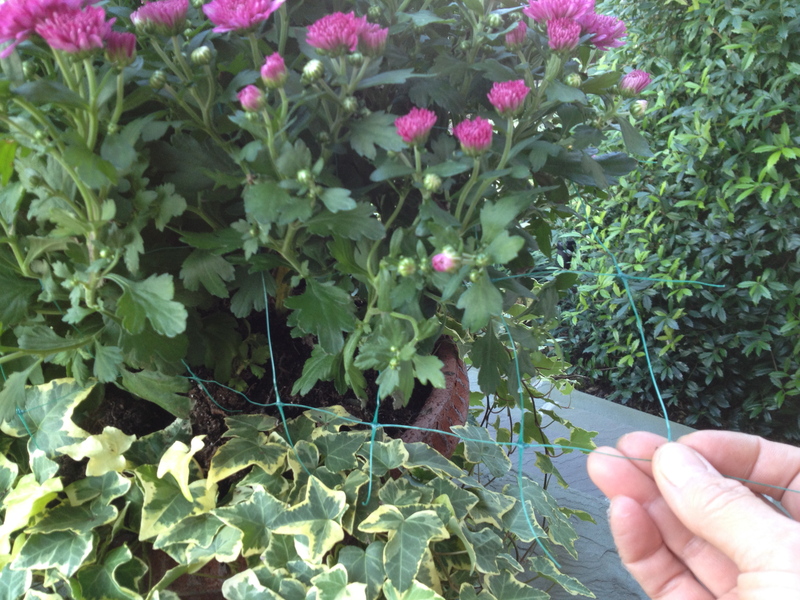 The solution: covering plants with green plastic mesh as they are growing. The flower buds grow through the mesh and hide it, but the mesh keeps them nicely spaced and completely safe from splitting open. Such a simple idea! This gardener is going to use it a lot from now on! The mesh can’t be seen at all, even from a foot away. I’m surprised that I’d never seen this done before. Also nice because you can use the mesh over and over, not to mention it’s really inexpensive. Win, win! The new garage doors will keep the garage warm enough to double as a greenhouse. 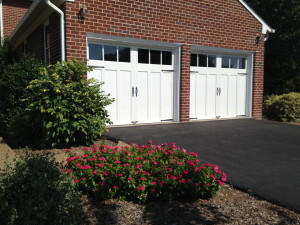 After 33 years of hard use, the garage doors and openers needed replacing, and I am so happy at the great new choices available now. Our garage has to serve many functions, as do most garages these days, so we opted for a new door that is maintenance free, double walled steel with insulation sandwiched between. This will keep the garage much warmer in the winter, which is great since one of those functions is doubling as a greenhouse to keep some of the potted plants safe in the winter months. Someday I would love to have a greenhouse, but until then the plants will have to share space with Snowflake and Silver (our cars – LOL! ), and my old bike, lawnmower, and you know – all the other stuff that ends up in garages! I am very happy with the installation company and would be very glad to send information to anyone interested in replacing their garage doors. This is the brand of driveway topcoating I used to resurface this last Spring. It has held up nicely. 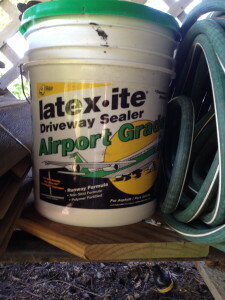 I have been asked again what I used to topcoat the driveway, so I’m adding a picture of the container. 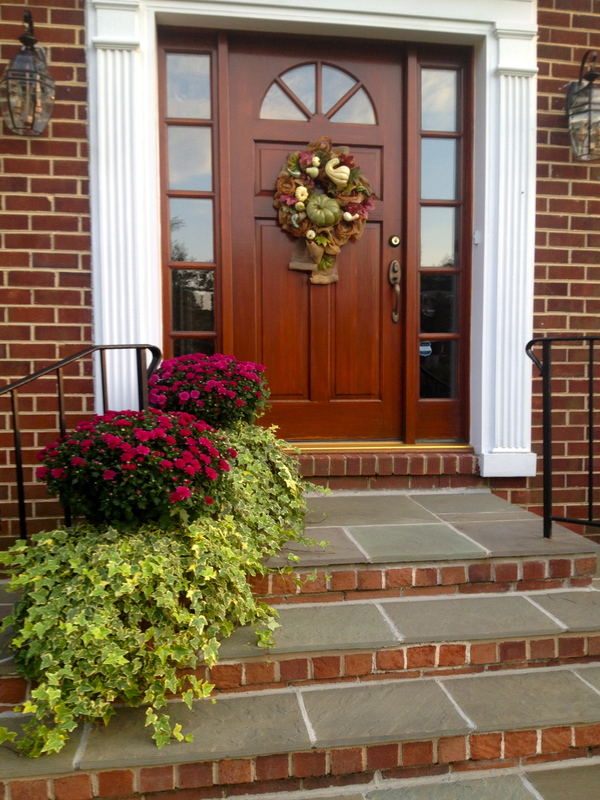 This is a reminder that now is a perfect time of year to do this chore. 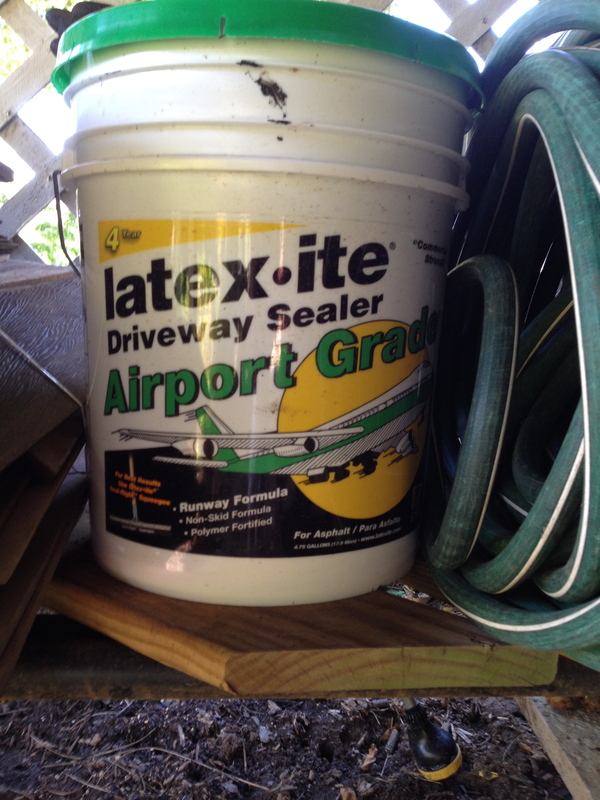 Also, as a gauge, it takes about two containers for my driveway, which is approximately 25′ x40′. I have tried so many different types of coating, but I recommend the thinnest variety. I find it sinks into the hairline cracks and divots best to seal them. Coleus — my favorite “Plant of the Summer.” It grows exceptionally well in containers, and the color ranges are so vivid and beautiful. 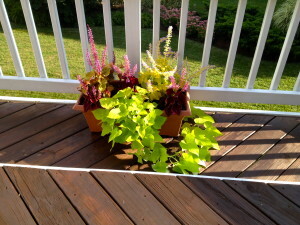 With the summer coming to an end, I am giving my award for this year’s “Plant of the Summer”: to the coleus I grew in planters. It has looked amazing even in the heat, and the colors are so vivid. 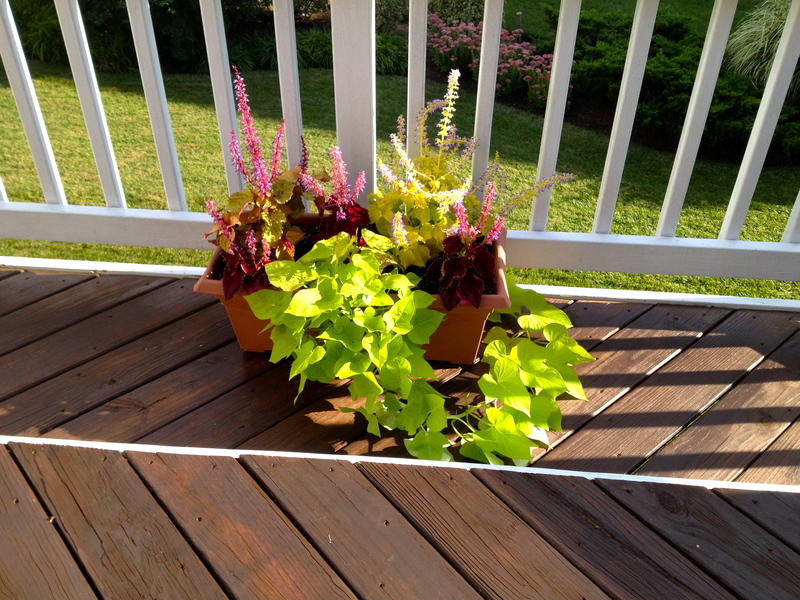 I am always interested in trying new colors and combinations, and I love the look with this sweet potato vine. Speaking of vines, my pumpkins were mostly eaten by the chipmunks, but I did manage to harvest two last week. 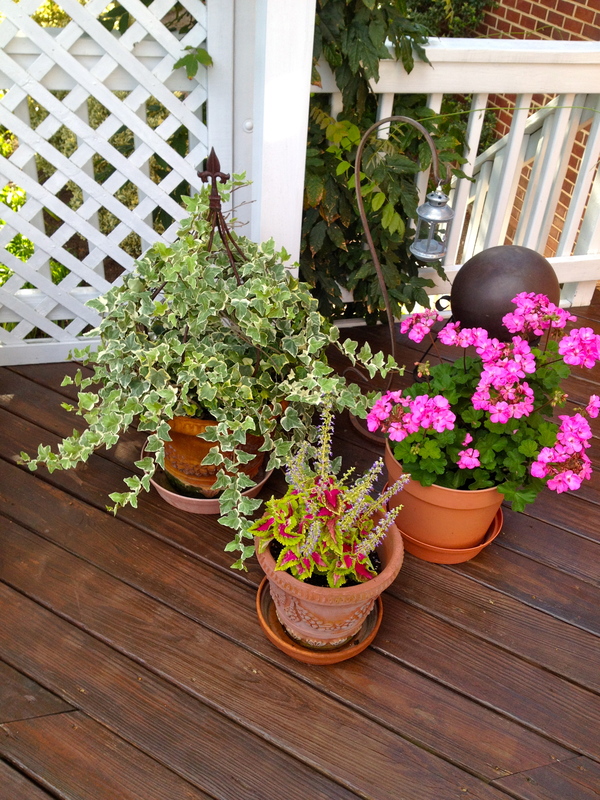 One more variety of the coleus I grew in pots, this one is bright pink with lime green borders. 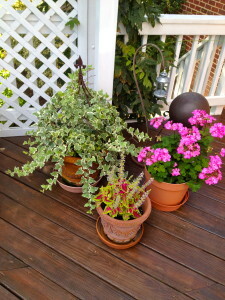 What has been your favorite plant this summer?